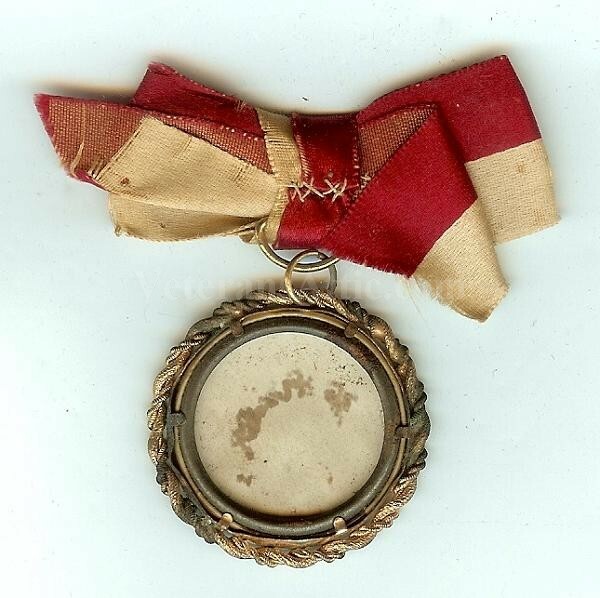 It is likely this badge was worn in remembrance of General Joseph Wheeler. It has a red and white ribbon and a brass rope drop. 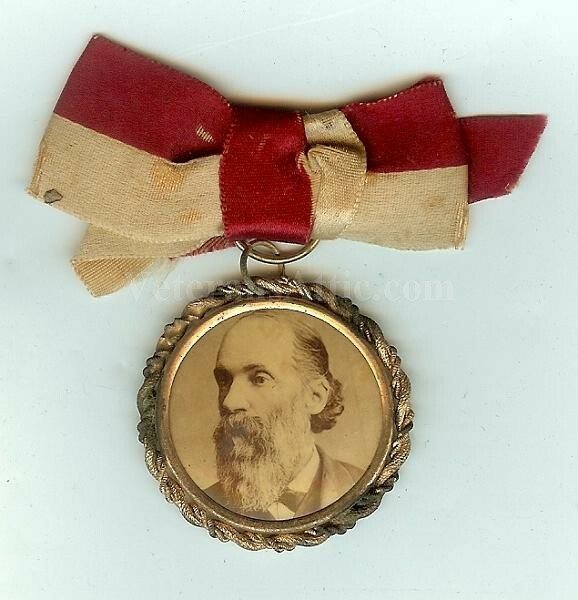 In the brass drop is a celluloid button with General Joseph Wheeler's likeness. General Wheeler is older in this likeness. Any Wheeler badge is hard to find.